At Chronoexpert, we strive to provide fans of the world’s top luxury watch brands a one stop boutique which provides everything you need in order to make informed purchases about top watch brands, along with access to some of the lowest prices available anywhere in the world for pre-owned watches. You’ll find almost all the world’s top brands for sale here. Patek Philippe, Vacheron Constantin, Audemars Piguet, A. Lange & Söhne, Jaeger-LeCoultre, Rolex, Breguet, Blancpain, and dozens more are available. We’ve got Swiss watch brands, German watch brands, and US watch brands; we completely cover the horology world, and provide hundreds of different watch choices that should cover any individual preference, style or budget. Every single watch listed on our site undergoes a rigorous inspection process to ensure that it is in perfect working condition prior to being listed for sale, along with a thorough authentication. We are so certain of your satisfaction that we offer a number of guarantees that far surpass other watch sellers offer, including a no-questions-asked 14 day money-back guarantee, along with a full 12-month warranty covering any potential problems. Perhaps the reason Swiss watches have long been regarded as some of the finest luxury brands in the world is that horology has been practiced there since the 16th century. Swiss made watches have become synonymous with innovation, quality, and creativity in the intervening years, and watchmaking has become something more of a sublime art than a simple mechanical craft. It is no surprise that many of the worlds’ most instantly-recognizable watch brands are headquartered in Switzerland, and no matter which particular brand you may select, you can rest assured that you will be enjoying one of the world’s finest timepieces. 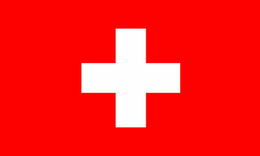 Main Swiss Brands: Patek Philippe, Rolex, Breguet, Jaeger-LeCoultre, OMEGA & more. German luxury watch brands are an often overlooked, but rapidly growing section of the market. Top names including A. Lange & Söhne, Glashütte Original, Montblanc and Nomos spearheading the way forward, and should be familiar to any serious enthusiast. German timepieces also have a reputation for their exquisite precision and machining, absolute mastery of engineering detail, and an understated and refined aesthetic. Please do not miss watches following the Bauhaus Movement. German watch brands also use different internal movements and mechanisms than most Swiss timepieces, based off the original three-quarter base plated originally popularized by the renowned Ferdinand Adolph Lange. One hundred years ago, US luxury watch brands rivaled any in the world, including those produced in Germany and Switzerland. Accurate timekeeping was a necessity to facilitate commerce and keep the railroads running on time, which led to a burgeoning domestic watch industry in the United States. While the quartz revolution several decades past saw most of the old American standbys sold off to foreign interests, in recent years a second mechanical watch revolution is again promoting significant innovation in the United States. Today, American luxury watch brands such as Ball and Devon are again on the cutting edge of horology development and design, winning numerous awards and quickly re-establishing the USA as one of the world’s premier sources of world-class luxury watches. At Chronoexpert, we track and monitor all of the top luxury watch brands, and enable you to easily browse based on a variety of factors. You can of course look at individual watches by brand, but you can also sort them according to their condition, price, and a number of other unique factors including movement type and case thickness – we even have a sophisticated filter based on specific complications often featured in luxury watch models. In the left sidebar, you can directly visit pages dedicated to our most popular luxury watch brands ranked by average price. Currently these are A. Langue & Söhne, Patek Philippe, Audemars Piguet, Piaget, Breguet, Blancpain, Vacheron Constantin, Franck Muller, Ulysse Nardin and Universal Genève (No, Rolex is not on the list!). We offer a number of significant advantages over most other watch vendors and retailers, often making us the best choice when you are looking to invest in a pre-owned luxury watch.